Need an inspirational quote for your newsletter, business presentation, company website, bulletin board or inspirational posters? 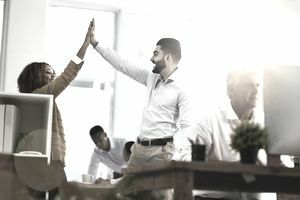 These quotes about reward and recognition are useful to help employee motivation and inspiration. They encourage employees to do their best work, take thoughtful risks, and express empowerment in their everyday jobs. They encourage employees to stretch, set new challenges and maximize their ability to contribute. "Don't work for recognition, but do work worthy of recognition." --H. Jackson Brown, Jr.